Hi everyone! 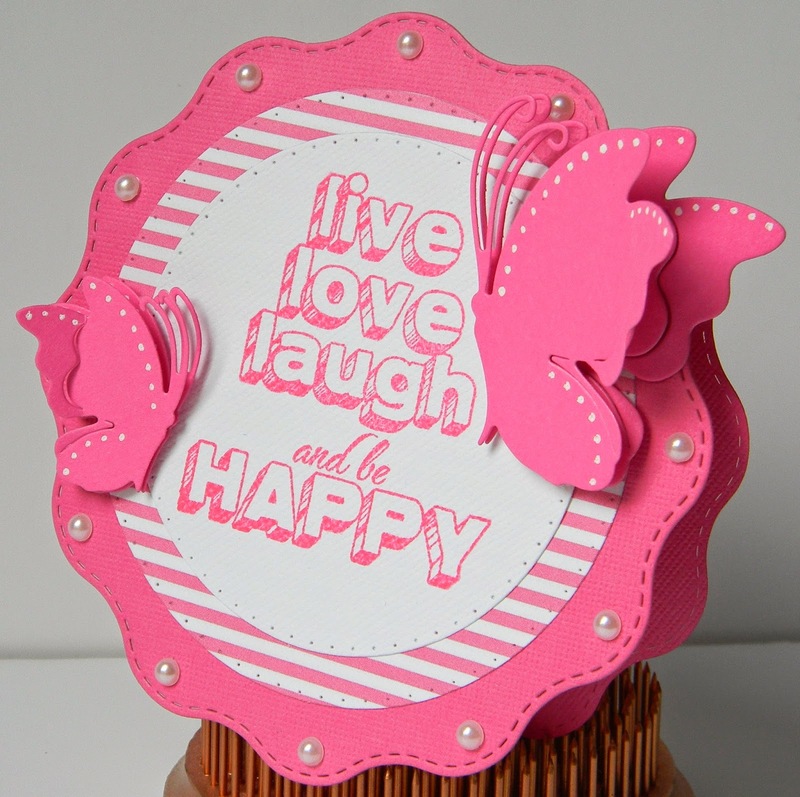 I am thrilled to be a guest designer today over at My Creative Time. I LOVE all of Miss Emma's products and have the best time playing with them. I used several products from My Creative Time--I just love how they all mix and match so well. 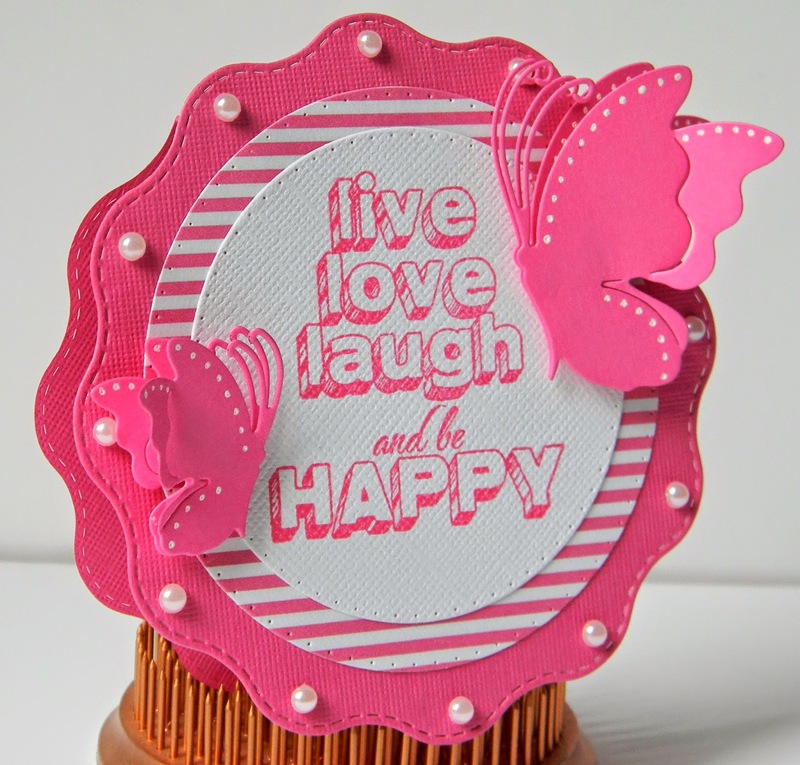 I am really liking the circle cards so I used the largest die from the Bunch of Fun Circle Dies to make the base. The next two circle layers are also from that set. 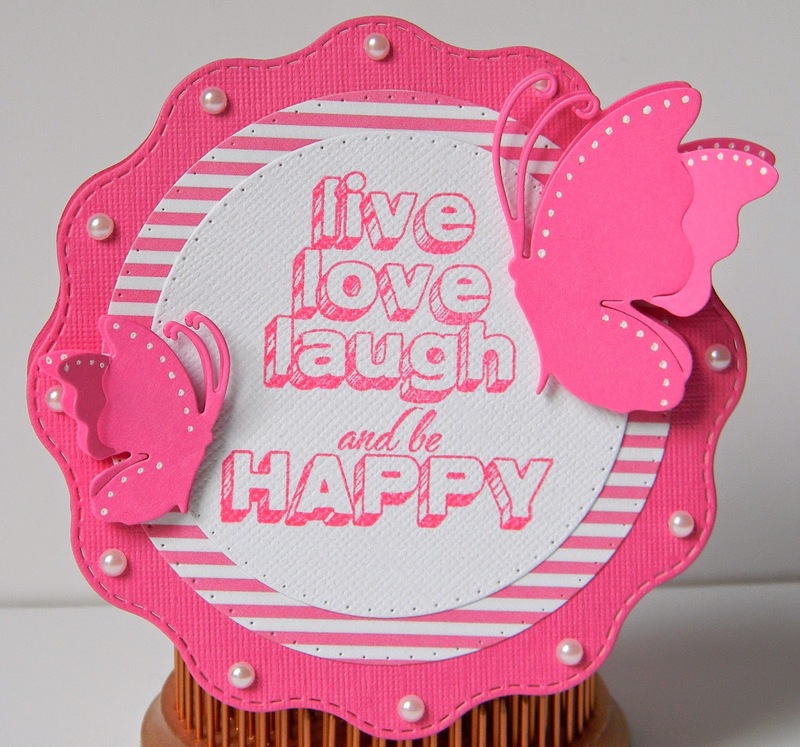 Then, I wanted to make the butterflies stand out, so I cut out two of each from Pretty Butterfly and Dragonfly Dies and pop dotted them together and pop dotted them to the card after stamping the sentiment. I finished it off with the pearls around the scallops. Thank you Emma for letting me guest design for you!! I hope everyone has a happy day!! Don't miss out on the Trendy Twine Little Sisters Design Team Call! You have until this Sunday, June 22 at 11:59 CT to get your application in. Click HERE to see all the details. We're taking a break from the challenge right now, but you can see more inspiration on the blog all month long and also on Facebook at the Twine It Up! Group page. 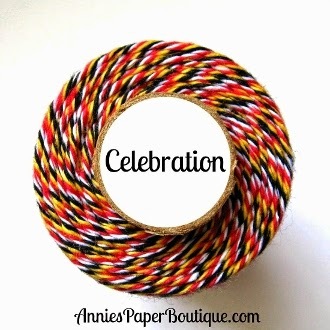 Don't forget the special this month on the Celebration Twine spool and Celebration Mini Set! Hello everyone! 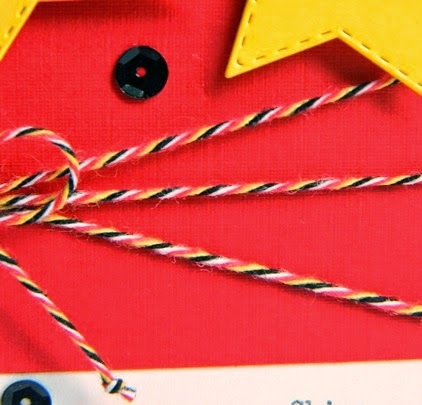 It's a new month, and time for another Trendy Twine color to spotlight. 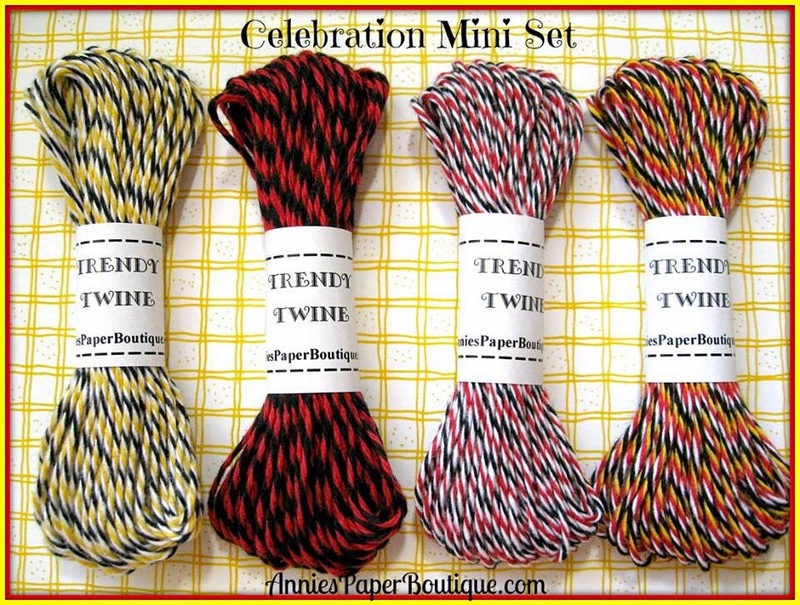 This month, it's the four color Celebration Trendy Twine that we are showing off. 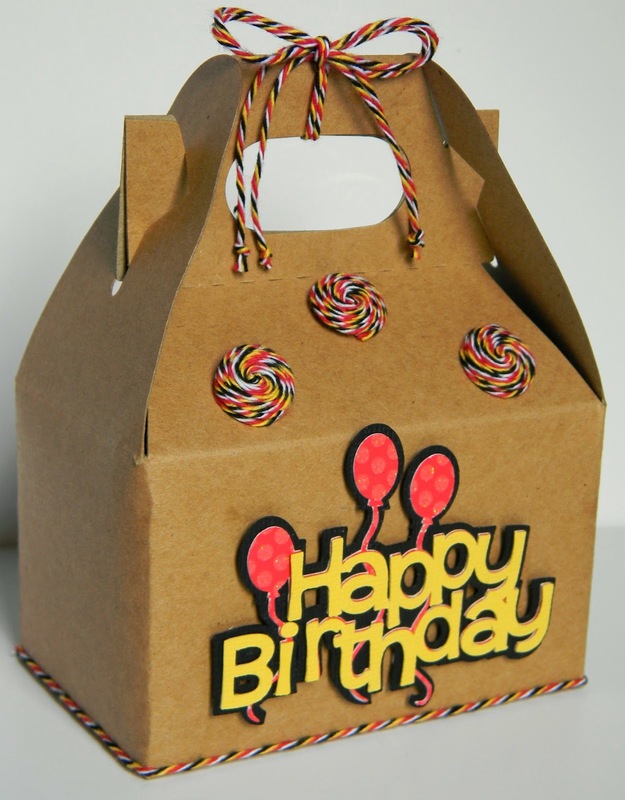 I made a fun Small Kraft Gable Box that you can find in the store, and decorated it for a small birthday gift. 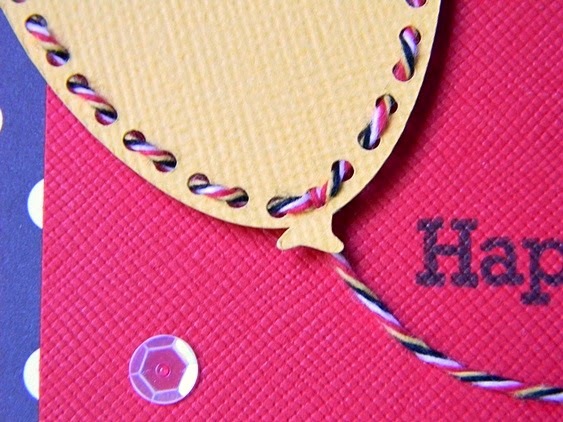 The Happy Birthday is cut from my Cricut Explore machine. I lined the bottom with the Celebration Twine, but wanted something more for the top. 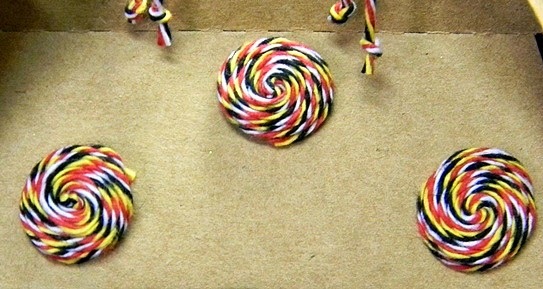 So I used my 3D pop dots to make these fun twine swirls. I do love to make these. I would have made more for the sides, but ran out of the dots. We are having a break from challenges for a bit, but please check out all the super fun projects all month long over at Twine It Up! with Trendy Twine for your twine inspiration!